If you are a webmaster or you have your own blog and don’t know how to monitor the Website Uptime and Site Downtime. Don’t worry there are so many sites are available which allows you to monitor your websites uptime and downtime. No one wants that their website will go down and they didn’t know about that, so at this time all these website will helps you to monitor the downtime of your sites. Whenever your sites goes down due to some server error or server load you get the notification on your mobile or on your email address. With this way you can know the downtime of your website or check out the reason why your website is down and fix things up when there’s a downtime. So today in this post you can find some of the best web services and useful monitoring web tools which helps you to monitors your website or blog. Most of these service are free to use, all you have to do is register a free account with them and you are ready to go. 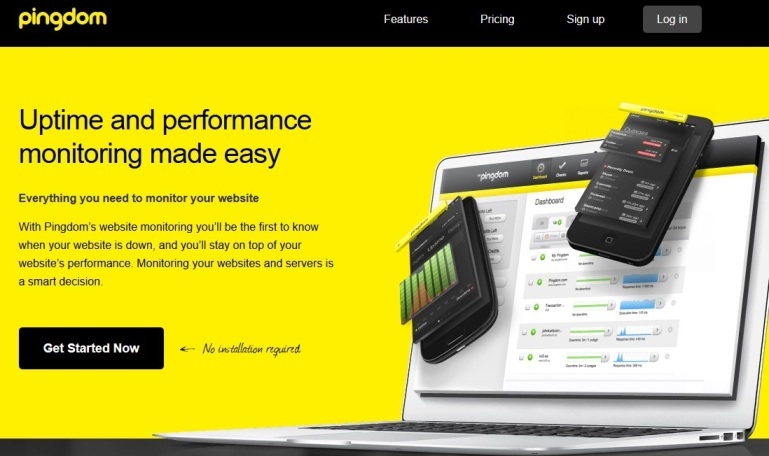 Site24×7 is a simple hosted web site monitoring service with lots of plans. 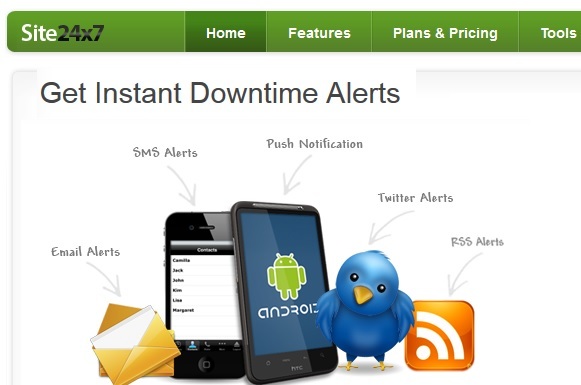 With these website you can get the instant SMS alert on your mobile and your given email address when your site is down. There are six main functions that Site24×7 takes care of: website availability, tracking website performance, web application monitoring, web page defacement, instant alerts, and reports and trends. One of our favorite site to monitor the site performance, not only it monitor the downtime of your site but also find out why your site is down and what are the solution to get it back online. When something happens to website ot your blog, you will get the notification form the website. You can get alerts when things break, on error messages, HTTP status, content changes, and lots more. Another useful web service that checks your website at regular intervals and notifies you via email or SMS if it becomes unavailable. Both free and paid are available for the webmasters. In a free plan you can monitor only one website and get notified when your site foes down,. You can also buy the paid p;plans which has some extra feature and more options. 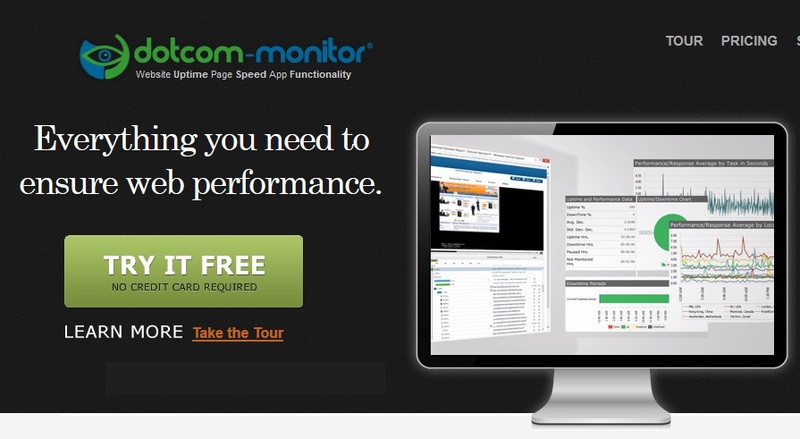 Free web service to monitor the performance of your sever and website. All you have to create a free account with the website and enter all the detail of your website which you want to monitor. 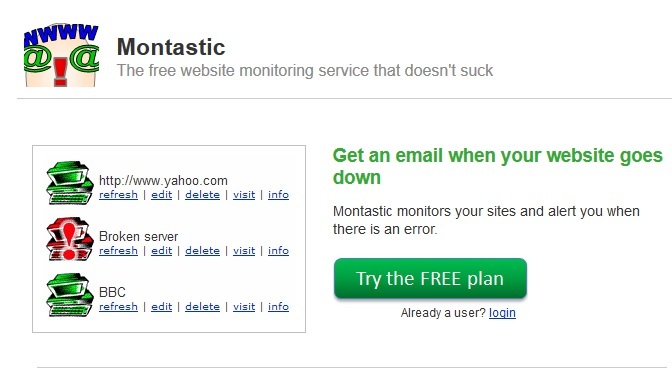 Once the site are added on the monitor service, Montastic will send you an email each time a server changes status. Montastic is free. Completely free. 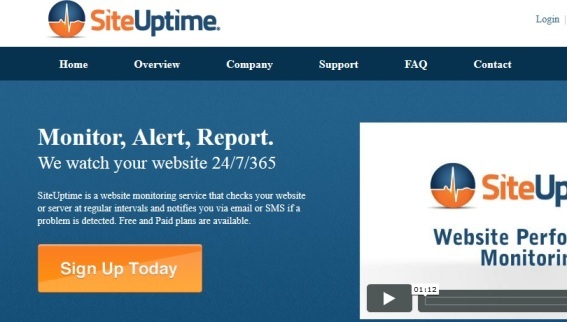 Website Monitoring service that ensures the performance and uptime of your e-business by bringing together Monitoring, Reporting, Notification, Escalation and Analysis in the combination best suited to your needs.or not the site is “up”. Create alerts based on your customized criteria and send them to phone, cell, e-mail, text and more. There is one more. It is called BasicState. It is very simple to use. Excellent…I just started working on my blog in the past few weeks. I’m going to need one of these to monitor my uptime, although HostGator can’t be stopped. I use http://www.internetuptimemonitor.com – Works great for me and Free too. Sends emails when your site goes down – I’ve actually gotten a few of them. Thanks for putting together such a nice collection of uptime monitoring services. There sure are a lot of them out there. Both the 2 sites are new for me. 🙂 Thanks again for leting me know about those 2 services. For those interested in outsourcing their website monitoring, Techout (see website above) is a great way to go. It’s a paid service, but there’s no software to install and you get alerts when the site is down. They do cloud monitoring and transaction monitoring too. Thanks for the mentioned. You could also add 100pulse.com to your list , a newly released user friendly monitoring service. Good list, all of them are decent services and I have used several of them. You could also add ezwebsitemonitoring.com to the list, they provide uptime, response time, error checking and SEO tracking too with keywords, backlinks, competitors, etc. Check it out if you get time. Submitting for your review – BinaryCanary.com – one minute monitoring with plans from free to cheap ($20/month for 100 monitors). (disclosure: I work for its parent company). Nices reviews. Would also add StatusCake.com – http://www.statuscake.com – to the list. Only website I know that allows unlimited websites to be monitored for free. Alerts sent to you by email, SMS, Twitter & push notifications for iOS and Android phones. Also really nice feature is that it also checks your site for JS errors and malware! MonitorHub is really easy to set up for a website monitoring service, as well as checking for uptime and sending alerts if the site is not responsive, you can check that certain text or phrase is also on the web page. Worth taking the 30 day free trial http://www.monitorhub.com . They offer a free account too.